Front view of the pole building taken during mid-summer, 1991. Sweet corn is growing in the organic raised bed. Resting a heavy slab of Eastern Red Cedar between large stones made the bench in the foreground. 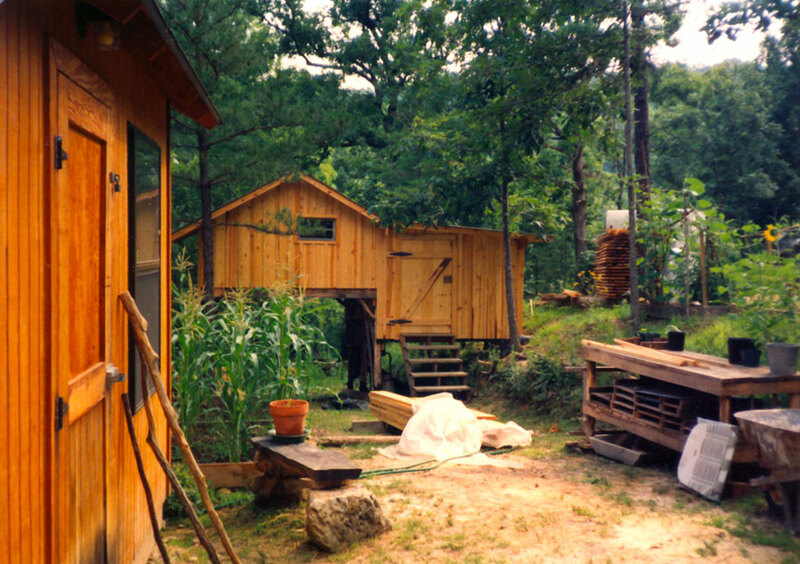 The potting stand on the right was built from yellow pine that was leftover after finishing the pole building. 1990, scanned color print, 3 x 5 in. (7.62 x 12.7 cm). Ozark Series. © 2008 by Allen C. Benson.